At Calico Trailer Mfg. Co, we strive to be a great company to our customers, employees and community. We are a family owned and operated company. 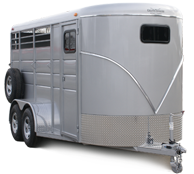 While many businesses are owned by other companies or individuals who do not wish to work in the company, Calico Trailers is not that way. We are very active in the daily business of our company and we believe that is part of what makes our company so great. Our management team has over 180 years of combined experience in the trailer manufacturing business. We would like to tell you a little bit about how our company began, as well as how we continue our operations today. Calico Trailer Mfg. Co. was founded by Dell and Barbara Liles and has been in business for over a quarter of a century. It is located in a small town in north central Arkansas named Quitman, the home to Delbert and Barbara. When Calico Trailers began, there were five other trailer manufacturers and a trailer supply store all located in the small town of Quitman. Over the years, manufacturers have closed and now all that remains of the trailer business in Quitman is Calico Trailers and the trailer supply store. Dell began business in 1983 with a borrowed welder and unable to pay the first month rent. The landlord was gracious enough to let him use the building for that month and he never missed another payment. Dell built this business with a lot of hard work and determination. He also did it with the help of friends, family and blessings from the lord. Many people say "you should never hire friends or family", however this is not something that Dell and Barbara believed in. Calico Trailers has always had both friends and family member employees. In the beginning, Dell and his brother, George built the trailers. George is still with the company today, as a building department supervisor. It wasn't long after they began business, Dell and Barbara realized that they would have to have a way to transport the trailers to dealers. They still didn’t have enough money to buy a truck, so Barbara sold her wedding ring to purchase their first truck. It was an orange 1967 6 cylinder Cheverolet. After purchasing the truck, a driver was needed, so Barbara would take off her job running the office and helping Dell build the trailers to make deliveries to the dealers. From there, the company grew tremendously and in 1988, Velda Cupit was hired as the secretary. Velda is Barbara's sister and is still with the company today. Sean Johnson also joined the company in 1988. He was hired as a welder’s helper and is the company President today. 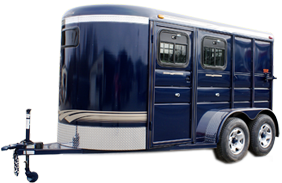 He has worked in all areas of the trailer business from welding, chroming, sales and management. Susan is the daughter of Dell and Barbara and Sean's wife. She has worked with the company throughout high school and during college. She attended the University of Central Arkansas and earned a Bachelors of Business Administration degree. From there she continued to further her education and later obtained her license as a Certified Public Accountant. After working in public accounting, she returned to Calico Trailers in 2001 as the CFO and Treasurer. Bryan is Dell and Barbara's son. He has worked with the company in a variety of jobs throughout high school and while attending Arkansas State University. For many years things were going great for Calico and the family. Actually, too good! In 2004, Dell was diagnosed with cancer. He began his treatment while continuing to work. After three years of treatment, he lost his battle with cancer. We were all devastated as Dell was a mentor, husband, father, brother, father-in-law, brother-in-law, and generous friend to the Calico employees. After Dell's passing, Sean Johnson was named President of the company, taking over Dells duties. Now days, Barbara is retired, but still comes in and helps us out as she wishes. 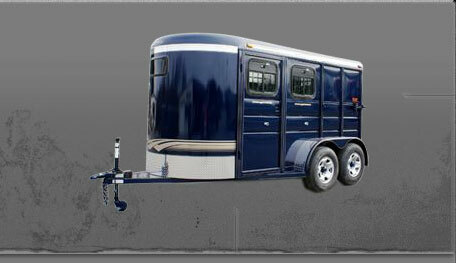 Today, Calico Trailers is a very strong company, but there will always be a void here due to Dells passing. We have been blessed over the years to be able to have a great group of loyal and dependable employees and customers. 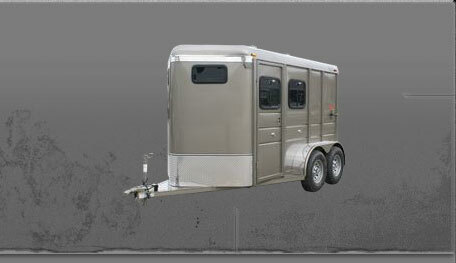 We truly believe there is not a better staff and valued product on the market than what Calico Trailers has to offer. We would like to thank you for taking the time to learn a little bit about our company. Please feel free to give us a call if you have any questions about us or our trailers. We are always available! To become a dealer, click here to complete the request form. 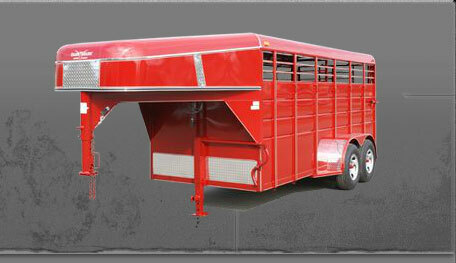 Please contact us at 501-589-2812 or susan@calicotrailers.com.